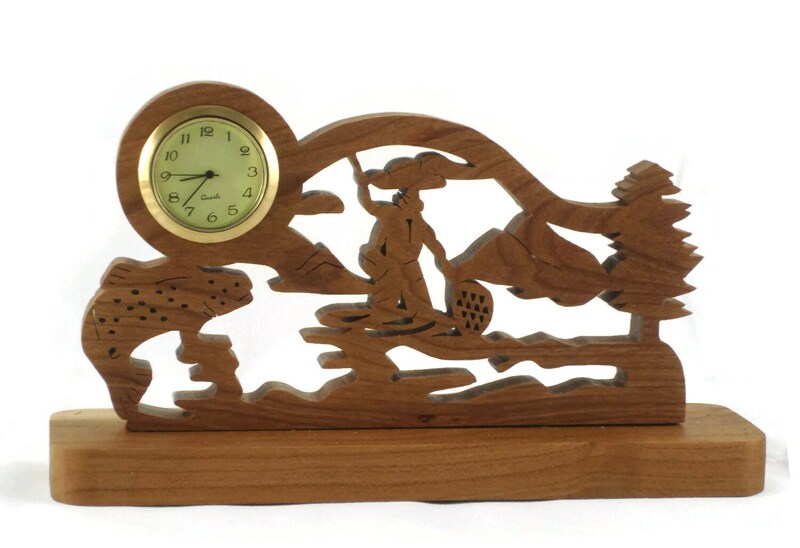 If you are a fisherman or know a fisherman then this trout fishing desk clock is for you. 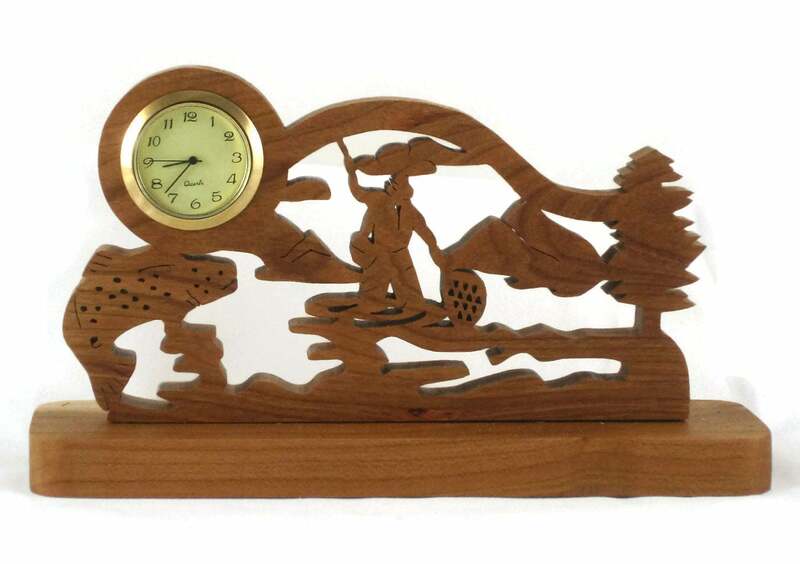 This handmade trout fishing scene clock was cut out by hand using a scroll saw and is made from 1/2 inch thick cherry wood. The 1-7/16 inch quartz clock insert has the battery installed and is ready to be activated. The clock features a ivory face with black Arabic numbers and a gold plated bezel trim. 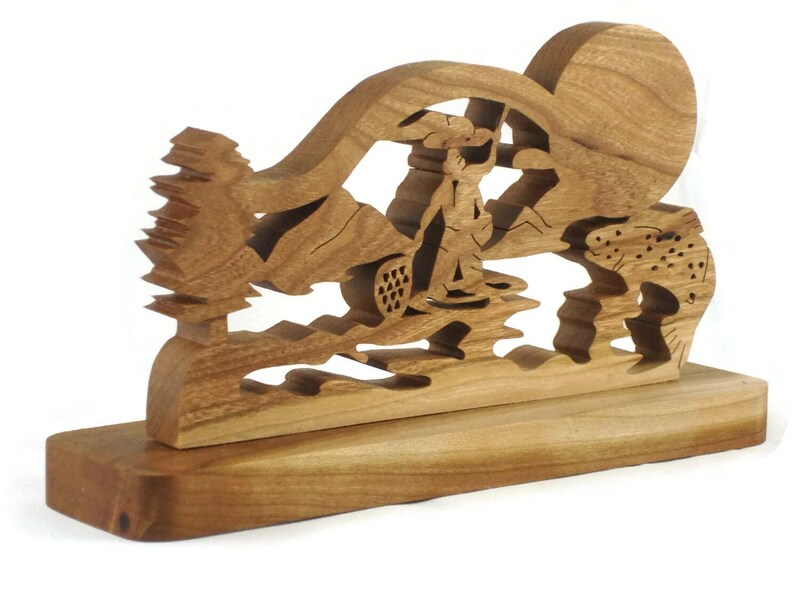 This measures approximately 8 inch wide by 6 inch tall and 2 inch deep. 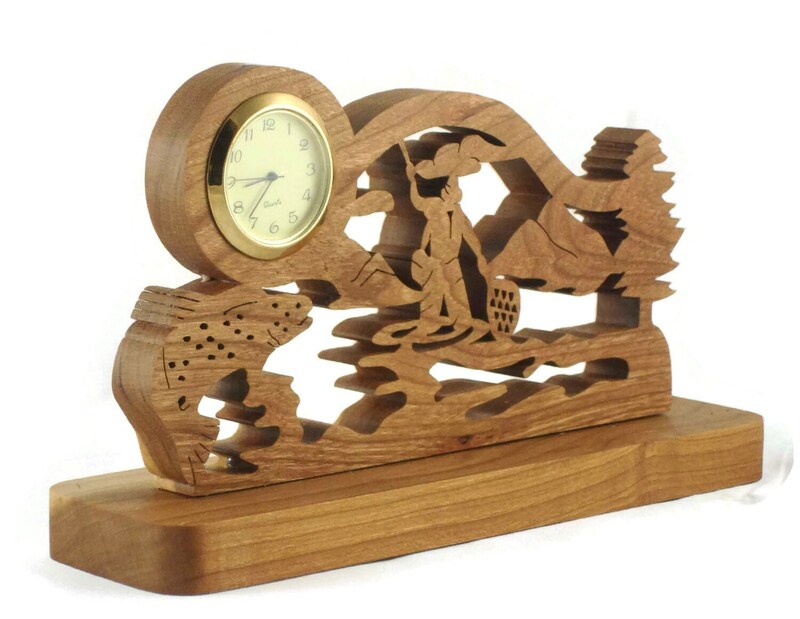 This clock has a non-toxic bees wax and mineral oil finish applied. This finish gives the wood grain an all natural look while giving superior protection. Also gives the wood a smooth silky feel to the touch. 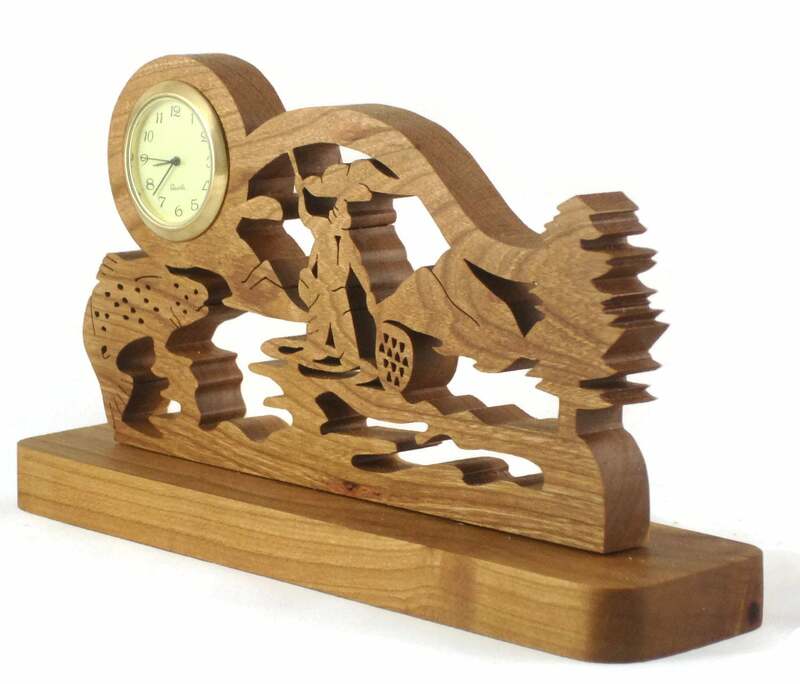 This can be made out of other types of wood.. message me for details.